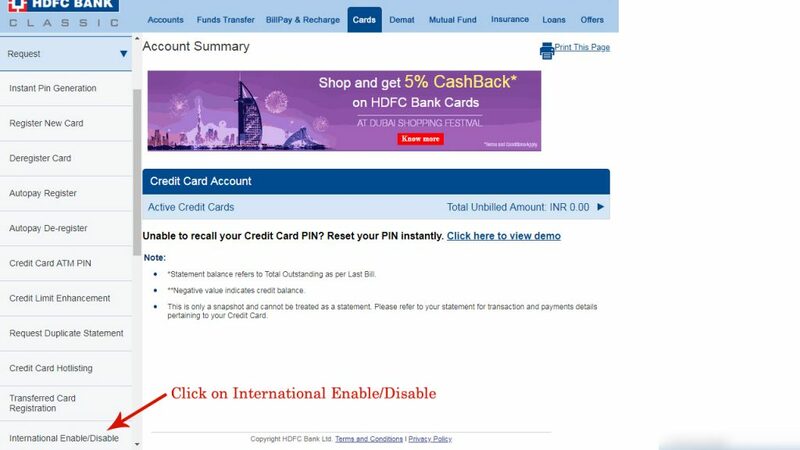 Home Credit Card How to enable disable international transactions on credit card? 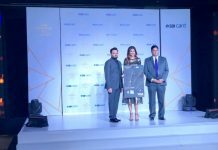 Know how to enable disable international transactions on credit card using net banking – In the era of digital banking, it is very easy to make online purchases at any time and pay for. Credit card has made easy for us to pay for purchases made online. But in terms of safety and security, it is more risky to use credit card for international transactions over domestic transactions. Even if you are not using credit card while travelling abroad or for international transaction, there have been several instances of fraudulent transactions where stolen credit cards or details were used for international transactions. If you own a credit card, then you must check now whether your credit card is enabled or disabled for International Transaction. You can check it using internet banking or contact your branch. International transactions can be enabled/ disabled after logging into Internet Banking. This article will answer two questions – Why to disable international transaction on credit card? 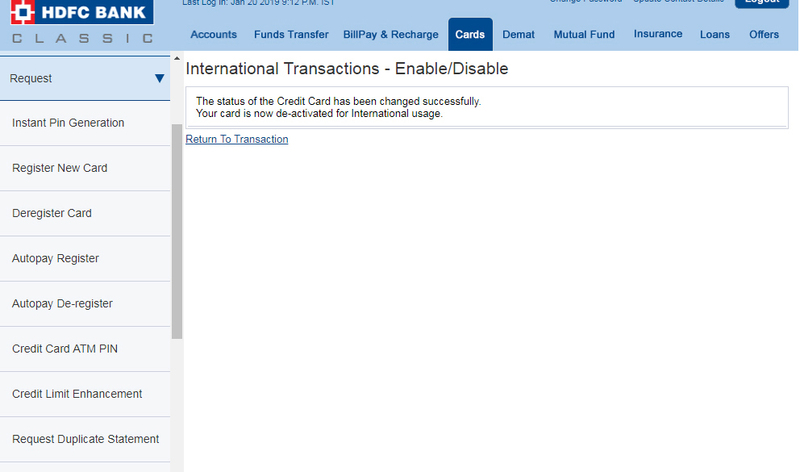 How to disable International Transactions on Credit card? After getting answer of first question, you will definitely look for answer of second question. As per RBI Guidelines, 2-factor authentication (2FA) is mandatory for domestic credit card transactions. When you use credit card at point of sale (PoS) by Swiping , you have to provide a PIN (personal identification number) which acts as 2FA. Whereas in case of online transactions done using credit card, OTP (one time password) is required which is sent to your registered mobile number. Thus, PIN and OTP acts as 2FA or second security layer for domestic credit card transactions. Whereas in case of international transactions, only credit card number, CVV and expiry date is required which is easily available on credit card. There is no requirement of OTP or PIN for authenticating transaction. If a fraudster get this details, they can easily use your card for transaction without PIN /OTP. The transaction need not to be performed outside India, even fraudster can use your card on foreign e commerce websites or portal also. Therefore, credit card issued in India is never safe to make international transaction and it will be wise to disable International Transaction on your Credit Card. 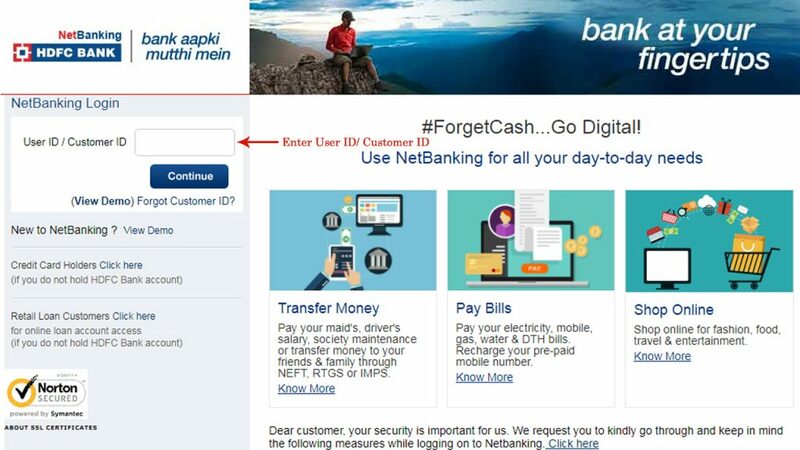 You need to login to your bank’s net banking facility to disable International Transactions on Credit Card. Follow these steps to deactivate International Usage of Credit Card. Step 1 : Login to Your Internet Banking Facility using your USER ID and PASSWORD. Step 2 : Visit the options under ‘Cards’ Section. 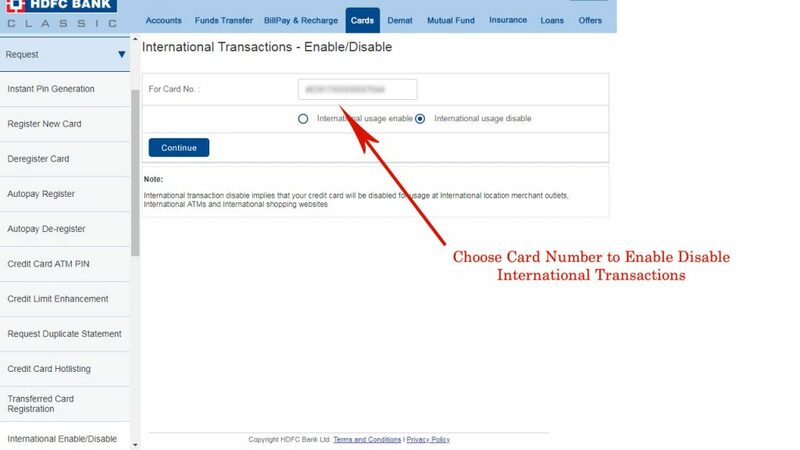 Step 4 : Choose Card number for which you want to enable or disable international transaction and tick International Transaction disable. Step 5 : After that it will display – The status of the credit card has been changed successfully. You card is now de-activated for international usage. Now your credit card will be disabled for usage at international locations, ATMs and international e-commerce or shopping websites. Before leaving the country, you can also enable international usage through net banking. 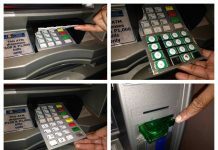 Next articleWhat is Credit Card Skimming – What a Card Skimmer Looks Like ?